The versatility of a Cayman vacation package from United Vacations is the greatest appeal to travelers. With over 200 dive sites and 40 dive operations on Grand Cayman alone, divers will delight in colorful coral reef walls and a variety of sea life. Laze on the soft sand of the world-famous Seven Mile Beach, or stake your claim to the countless other tranquil and pristine beaches along the coastline. Leave the sand and take a hike to uncover hidden alcoves and places along the Mastic Trail. While the staggeringly clear ocean and beautiful natural surroundings can fill your entire vacation, if you want, don’t forget to explore downtown George Town, the heart of the Cayman Islands, and the boutiques and eateries that line its streets. 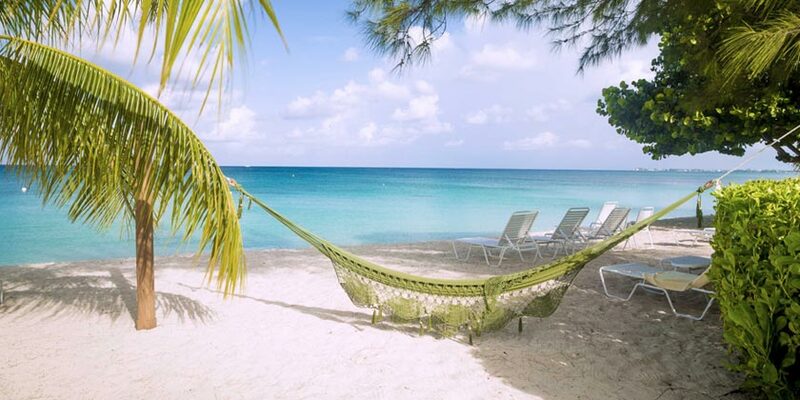 For a versatile vacation, visit the Cayman Islands and let United Airlines® take you there. Book your vacation package today. This tour takes you to all the districts of Grand Cayman and you also get to experience each districts distinct features. The 3-hour experience includes a 45-minute visit to see wild stingrays in the waters of Stingray City. Resort info: Ushering in a new era of luxury, this distinctive resort blends first class accommodations with unforgettable service. Resort info: Two spectacular pools. Memorable restaurants. A golf course, spa, fitness center and water sports facilities.